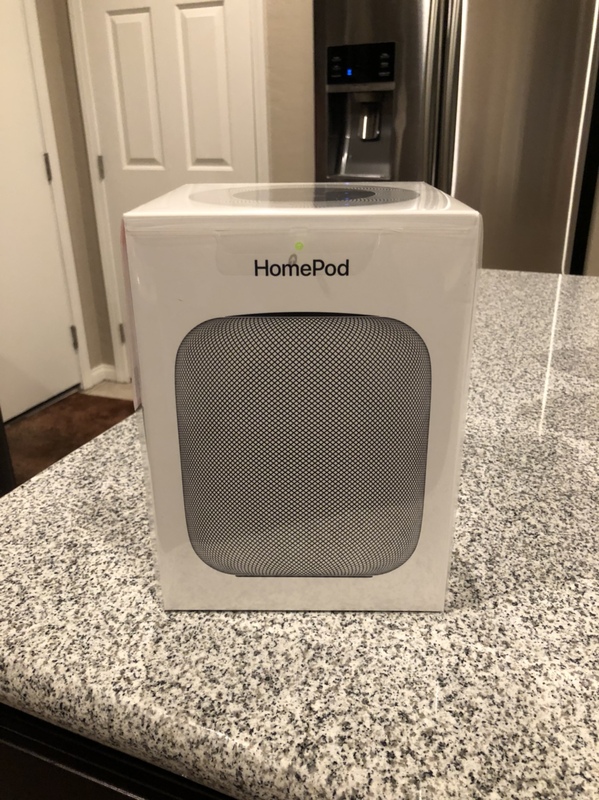 For all of those that have stepped up to order a HomePod (or two or three or four), tell us about it here! Which color did you get, and where are you going to set them up in your home? I preordered from Best Buy just about 20 minutes ago. Used $20 in rewards and had a $20 gift card. I got space gray. I have no idea where I’ll set this up. I’ll figure that out Friday. It also helps that I get a 45 day return period since I’m an elite plus member so I can take my time to learn if this is for me or not. Annie_8plus, nikkisharif, MaxSmarties and 1 others like this. I’m sure it sounds great (from what I’ve heard and read it actually sounds amazing) but spending $349 for a speaker when I already have a plethora of Echos just isn’t something I’m willing to do. Not to mention it’s pretty worthless unless you’re an Apple Music subscriber, which I’m no longer. Apple was too late to the game, charges too much, and refuses to integrate third party music services. No thanks! w00cash1020 and nikkisharif like this. As usual, I'm waiting until after the launch to see how they perform and read all the posts here before deciding if I'm going to buy one. Annie_8plus and dazzlingirl like this. Considering the quality level of the Echos, who cares if they are late ? A speaker is for listening music, and the HomePod is way better at this. - Echo devices are a fraction of the price and the majority of users aren’t that picky with audio. As long as whatever smart speakers they’re using are “good enough” they’re much less likely to invest in something more expensive. 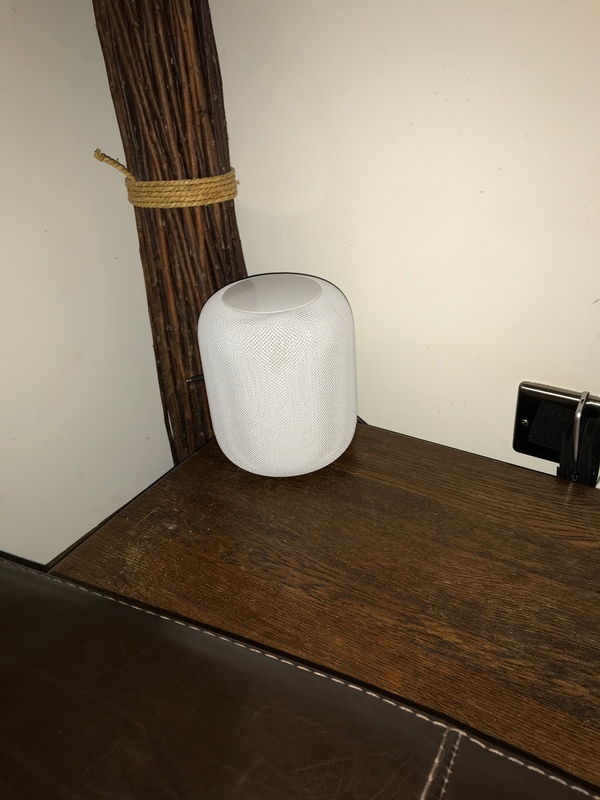 While I appreciate the superior audio quality of the HomePod, my Echo speakers sound pretty good for the price and I’m not exactly going to race to the Apple Store to replace them. If Apple had come along earlier I may have gone in that direction before purchasing multiple Echo devices. - A speaker isn’t just for listening to music. - You don’t like Amazon (or Google) but that doesn’t negate the millions of people that do. Cheaper ? For sure , but it’s not like the HomePod is $1000 ... it still is in the “affordable” range. Your tastes may be different. I still think Siri is more than adequate to PLAY MY MUSIC and doing basic stuff like switching on light and so on. And I believe Siri will improve over the time THANKS to HomePod (things like accessing my calendar are to be implemented ASAP !). In one thing you are perfectly right: if you are not an Apple Music subscriber, well, the HomePod isn’t the right device for you (but i think it will open to other services in the future...). True to all of those things. Again, I don’t have a problem with HomePod. It’s a phenomenal little speaker, aside from it being Apple Music-centric. I just think they were late to the game because lots of users have already invested in something else. It’s hard to replace four Echo devices spread over multiple rooms with one HomePod. I hope HomePod is a smash hit and they do what Amazon did and start releasing different models at cheaper price points, much like Amazon did with the Dot. It’s a good option if you’re looking for digital assistant functionality but don’t necessarily need solid audio in that location. Turning back to the thread, what about the color ? Who choose the white and who choose the black ? Ordered two white ones; one for me and other for my sister. Loving it! MasterDarque, Annie_8plus and dazzlingirl like this. White HomePod just set up & listening to Tool’s Lateralus album on it, the first track being the song ‘The Grudge.’ Wow, this thing is SICK!! I can see this being like the AirPods where people’s personal experience with it & word of mouth overcome the initial doubts regarding it. As for the Siri aspects to it, that was never really one of my check boxes/use cases for getting it, so for me the acumen of Siri as an intelligent assistant on it (or not as the case may be, YMMV) are secondary. Got the Space Gray, my phone is black/grey, my Apple Watch is black/grey, so.. If there were any doubt about the purchase price, it's long gone. This is more than just a wireless speaker, it's a sound experience. Some of my music at 50% volume brought tears to my eyes. Hearing more than songs, but my memories. Part of a song I never heard before, little sounds coming out, hidden from other speakers. Bass that can rattle my desk. One can clearly see the time and effort that went into crafting this amazing device that weights 4x what you think it would. It's a clear quality difference between this and my Amazon / Google speakers. If you love sound, love music and more... and can afford adding this to your collection, I highly recommend it. I am already considering heading back to BestBuy tomorrow and getting a 2nd one..
nikkisharif, MasterDarque and dazzlingirl like this. nikkisharif and dazzlingirl like this. I was considering getting one to replace my wonky old Logix iPod dock but will not, because of the lack of Spotify access. I never tried / used Spotify, but again never used Apple Music until Homepod. That being said, not getting the HomePod because you can't use Spotify is what separates those who want the amazing quality of sound compared to those who "just want to have tunes" Matter of choice, for me it's about the quality over the app. Eh, that’s debatable. Spotify offers higher stream quality than Apple Music. One could argue that if you truly wanted quality, you wouldn’t be a subscriber to a music service that doesn’t even offer the best audio quality sound compared to the competition. So, what I think you are saying is, that you only have experience of Apple music, and that you think that your Homepod has amazing sound quality ? well I am pleased for you. However I have some purchased Apple music and Spotify, and for me Spotify wins for audio quality over both speakers and ear buds, and I think your Homepod would sound even better if it could accept Spotify. As for the sheep from the goats argument that sounds to me like someone who has spent too much money and now has to like the product !